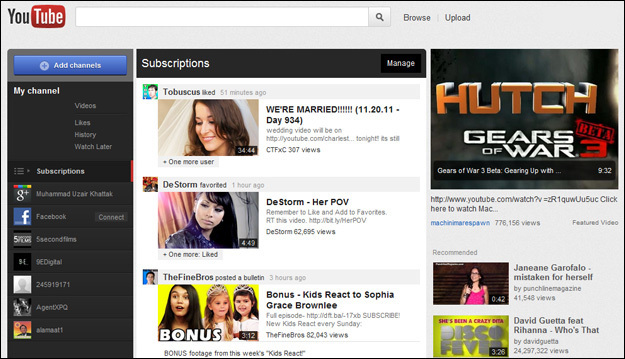 New Look YouTube Design and How to Get it. 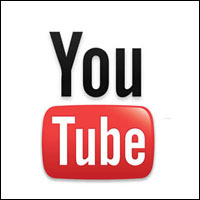 We have seen countless videos and articles last week about the new look Youtube design. The home page of the popular video sharing website has been updated for some people already but if you are still seeing that old design and want to try the new one, here’s how to enable it thanks to the guys over at The Verge and a Google+ user Mortiz Tolxdorff. 2. Open the developer tools by either pressing Ctrl + Shift + J or by Right click > Inspect element > Console. 3. Copy the following code and paste it into the console. 5. Reload the page and enjoy. 2. Open the developer tools by either pressing Ctrl + Shift + K or by Tools > Web developer > Web Console. 2. Open the web consol by Right click anywhere on the page > Inspect Element > Console. Tell us in the comments what do you think of the new look YouTube design? Maybe it needed the makeover, maybe you were happy with the old. At My Social Agency we spend hours inside the YouTube bio console, and as with any change to any of our beloved social networks, it will take us a little extra time to work out our way around it. Overall though, we feel the changes are great and add a sharp new design dimension to the site.